A book written by Dr. Eiji Ito (Wakayama University) has been published by Koyo Shobo. ――Accumulated knowledge in leisure studies overemphasizes Western samples and perspectives, and little research has been conducted in Japanese cultural contexts. 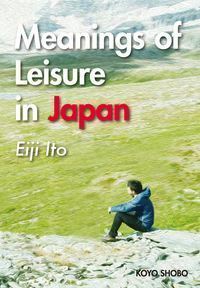 This book, therefore, discusses contemporary meanings of leisure in Japan by conducting cross-cultural research and by employing culturally-informed psychological theories.